On Monday Year 3 went to a Hindu temple called Shnee Laxmi Narayan in Bradford. When we got off the coach and entered the temple we had to take off our shoes and wash our hands. A lovely lady called Seema took us upstairs and into the worship hall. The worship hall is a place where Hindus pray and worship. When they pray they sometimes ring a bell, this is a way to show the worshipers they want their attention. Whilst we were there we had three activities to do. Firstly, we looked at the key features and symbols that you will find in a Hindu temple. Secondly, we looked at the amazing marble statues of the Hindu gods and goddesses and learnt about why they are so special. Finally, we learnt about Hindu weddings and compared it to a wedding that we may have been to. At the end of the morning we were all given a piece of fruit to take away as Hindus like to show their kindness/respect by providing food for their community. Yorkshire Water and the Yorkshire Wildlife Trust were at our school recently as it launched its latest “Soak it Up” workshop - an innovative approach to reducing water in drainage. We were treated to an interactive workshop where we were introduced to sustainable drainage solutions such as roof gardens, vegetable gardens and water butts and learnt how they can help the environment and reduce flooding. We were given a board where we could build our own sustainable drainage system. The team which prevented the most amount of water from reaching the drain was crowned the winner! Education & Volunteering Manager at Yorkshire Water, Anne Reed said: “Sustainable drainage systems (SuDS) are simple but highly effective way to utilise rain water. They can give a major boost to the local environment and to local wildlife whilst also playing a big role in flood prevention. We had lots of fun on Greek day. We came to school dressed as Ancient Greeks. To start the day we looked at finding out information about Greek food, clothes, what they liked to do for fun and also Greek homes. We then looked at Greek patterns and painted some pots. We learnt about triremes which are huge ships with three rows of oars. We used this information to help us to create some wonderful triremes mosaics. Another thing we did was look at the Ancient Greek alphabet and had a go at writing our own names. In the afternoon we learnt how to do Greek dances and tried to follow the moves as we watched some other children dancing. We even tasted some Greek foods we were delicious! 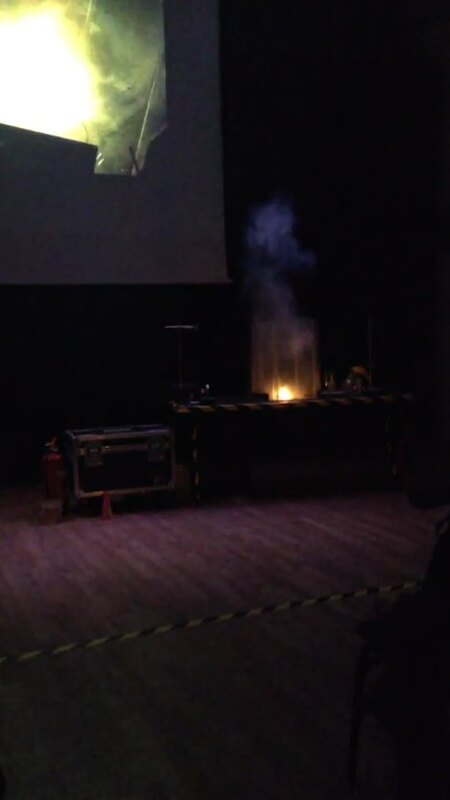 Otley Science Festival - Matthew Tosh – Fireworks: Real Science or Just Bangs? Internationally-recognised pyrotechnician Matthew Tosh introduced us to his magical and explosive world of pyrotechnic science. He unpicked the building blocks of firework displays to reveal how pyrotechnicians create colours, sound effects and perfectly timed bursts. 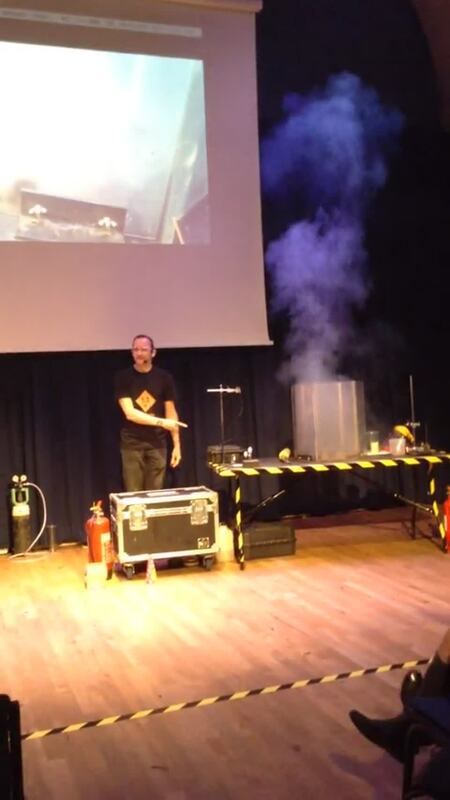 Matthew brought his fascination of how things work to the Otley Science Festival as he demonstrated how science, technology, engineering and mathematics ensure that displays are spectacular, accurate and safe for the public. The sights, sounds and smells of fireworks were all brought to life just a few metres from us! We had such a fun afternoon! In Year 3 we have been learning about the Stone Age. This week Mr Walbank came to visit us. He has found and collected many artefacts from the Stone Age to Iron Age time period. He talked to us about where and when he discovered some of these amazing finds. Some of which, were near Silsden, not too far away. He brought in his amazing discoveries to show us and we also got to hold and feel some of them too. These included, coins , a flint arrowhead and a stone axe head. We couldn’t believe that we were actually holding something in our hands that was actually a few thousand years old. Mr Walbank also talked to us about what life might have been like for someone living during that time period. This week we have been following instructions and making some woolly mammoths. This week in science we have been learning about the positions of the bones in our bodies. to help us learn more about the positions of these bones we have worked in groups to construct some skeletons. On Tuesday 11 September we held an election to choose our school councillors for the year. The candidates had to stand up and do a speech to say why they thought they would make a good councillor. We then held a secret ballot in order to choose who we thought would be the best candidate for the job. It was very close and all candidates did an excellent job, but the two candidates that scored the most votes this year were Heidi and Billy! As an introduction to our new science topic about Humans and other animals we looked at the remarkable achievements of sportsmen and women. We learned that Usain Bolt could run 100m in 9.68 seconds so we decided to see how far we could run in that time. We did very well but he was three times faster than most of us. We are learning about the Stone Age and have started to create our own cave art designs. We have enjoyed drawing animals and hunters. We will update you when our work is finished and ready to be published!